The diet of the Mountain Man generally consisted in large part of meat, meat and more meat. However, depending on conditions, a mountain man would eat whatever was available. Most foods of the time were preserved by either salting or drying, and so cooking was often a process for making these foods edible, and if lucky, palatable as well. Preserved meats include bacon, salt pork, smoked ham, dried or corned beef, smoked, salted, and dried fish, and of course whatever game could be taken. Breadstuffs include biscuits, flapjacks, Bannock or fry bread, corn bread and hard tack. Common vegetables were beans, hominy, rice and peas. Diet in the early 1800's was often monotonous. A person on the frontier or in the mountains might eat the same foods for months at a time. A person could not afford to be to fastidious or finicky about foods. The problem all too frequently was not the quality or variety of foods available, but whether there was any food available at all. Journals of the Mountain Man often mention eating such things as moccasins, saddles or rawhide straps during starving times. Canned meats or vegetables were not available to the Mountain Men. Canned goods were first produced commercially in 1813 for the English military, and about twenty years latter were available in British grocery stores. Canned goods in the West were only common by the time of the California gold rush in 1849. Sir William Drummond Stewart did take canned sardines, among other luxury food items to the 1837 Rendezvous. However, foods of this type would have been immensely expensive and generally not available to hunters and trappers. At larger trading posts and forts dairy herds (or just a milch cow or two) were often maintained, in which case milk, cheese and butter might be available. Depending on location and climate, many forts and posts also had an ice house, where ice could be stored for refrigerating foods, or for cold drinks. However, such items if available at all would have gone to the management and special visitors. In the 1700’s voyageurs, would start before daylight, paddling for two hours before breakfast, and would then go on without a midday meal until a big meal at night. Where wild geese were plentiful, the ration for a voyageur was one goose a day. On the plains, the ration was ten pounds of fresh buffalo, or eight pounds of moose meat. On large rivers, three big whitefish, or one salmon would suffice per day. If large game was scarce, eight rabbits would provide sustenance for one man per day. It has been estimated that the men on Lewis and Clark’s expedition expended more than 6,000 calories per day. Most of these calories were derived from meat protein from deer, elk, bear, buffalo, antelope, Bighorn sheep, fish, but also, wolf, beaver, porcupine, and during lean times included dog and horse. During the summer along the Missouri River, they supplemented their diet of meat with gooseberries, cherries, raspberries, grapes, plums, and red and black currents. The men also collected “greens” such as cress from along the river. 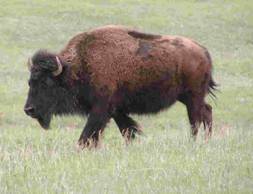 Buffalo comprised the main part of the diet of the Mountain Men. Fat cow was generally the most desirable, however, poor bull was acceptable in lean times. Meat would be prepared by broiling, frying, boiling, roasting, drying and when in a hurry or during starving times, might be eaten raw. In his journal, Osborne Russell describes the preparation of “poor bull”, by Jim Bridger’s party. He writes, “It would doubtless be amusing to a disinterested spectator to witness the process of cooking poor Bull meat as practiced by this camp during the winter of 1835-6. On going through the camp at any time in the day heaps of ashes might be seen with the fire burning on the summit and an independent looking individual who is termed a Camp Keeper sitting with a “two year old club” in his hand watching the pile with as much seeming impatience as Philoctete did the burning of Hercules. At length poking over the ashes with his club he rolls out a ponderous mass of Bull beef and hitting it a rap with his club it bounds 5 or 6 feet from the ground like a huge ball of gum elastic. This operation frequently repeated divests it of the ashes adhering to it and prepares it for carving. He then drops his club and draws his butcher knife, calling to his comrades.” Follow these links for a description of butchering buffalo and cooking and eating buffalo. Boudins: Portions of the intestine of Buffalo were filled with wild onions and other herbs and spices, tied off and roasted until sizzling. Boudins were considered a delicacy and were always a favorite. But in addition to being a favorite, boudins as well as other organs such as the liver were a nutritional necessity, providing vitamins and nutrients otherwise lacking in a diet composed largely of red meat. Bear: Of this animal Rufus Sage declares that a feast of bear's liver, heart and kidneys, basted with fat was a dish that epicures might well covet. He also states that bear meat, to be tender and good must be boiled for ten hours, though a roast of bear is far from bad. Mountain Sheep: Rufus Sage describes the meat of this animal as equal in flavor to that of buffalo, being tender and sweet, and slightly similar to mutton in taste. Dog was generally not eaten by most mountain men except during starving times. 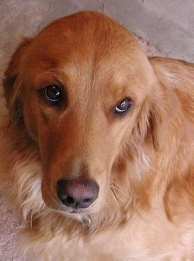 However, Indians considered dog a delicacy, and invariably dog found a place high on the menu at feasts and celebrations. If a trader or trapper was invited to such a feast, he would be expected to partake of the dog. According to Rufus Sage (Reference, "the flesh of a fat Indian dog, suitably cooked is not inferior to fresh pork; and, by placing side by side select parts of the two, it would be no easy task even for a good judge to tell the difference, by either looks or taste..." Here is a wild tale about being Tricked into Eating Dog Meat by Lewis Gerrard. Prairie Dog: Concerning prairie dogs Rufus Sage writes, "The flesh of these animals is tender and quite palatable, and their oil superior in fineness..." For men who would consume ten or more pounds of meat per day, dining on prairie dogs couldn't have been more than an unusual appetizer. Pomme Blanc (white apple): an edible root native to prairies and mountains, it is oval shaped and about three and a half inches in circumference and found at a depth of three-four inches. The interior of the root is a white pulpy substance with a taste much like turnip. It could be eaten raw, boiled or ground into flour. Tea could also be made from the roots which was a stimulant and a treatment for constipation. 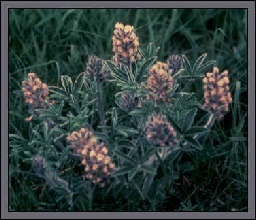 Also known as Sheep Sorrel, Prairie Turnip, Indian Breadroot, Indian Potato, and Teepsenee. Prairie Potato: According to Rufus Sage (Reference), a tuber almost equaling in size the common potato. It has a rough knotty appearance, and is somewhat oviform. When cooked it is dry and sweet tasting. This may be Arrowhead, which was once an important food source for Indians. Also known as Wapato. Flour, Mexican corn and U.S. Wheat the mountain men were specific in describing the origin of the flour they had access to – research not completed. Coffee and Tea were the preferred drinks of the Mountain Man when available and large quantities of both were shipped to the mountains for rendezvous. Coffee could be extended or substituted using roasted chicory. Chicory was originally imported to North America by the early French fur traders and today it grows wild throughout the continent. To “Drink the muddy water” became a tradition with the Indians and traders prior to dickering on furs and goods. In the early 1800's coffee was available in the form of green beans, which needed to be roasted (burnt) and then crushed before brewing. For a description of preparing coffee follow this link. Inventories show that loose tea (Young & Hyson) was taken to rendezvous. 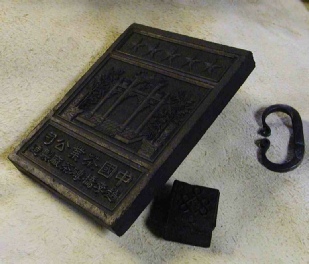 Chinese Brick Tea is known to have been available from Russian traders but I haven’t been able to find any documentation that it was available to or ever used by American or British traders or trappers. A tea brick is shown to the right. This brick weighs about 2.2 pounds, and is scored on the back side for dividing into sixteen smaller pieces. Each section of a tea brick could be used to brew a total of one-two gallons of tea. Milk: was sometimes available at forts or posts, and sometimes from the semi-wild cattle that roamed ranches in Mexico and the southwest. When available it was eagerly sought. Lewis Garrard (Reference) describes how milk was obtained and used in one instance in 1847 here. Red-Root: A bush, highly esteemed as a tea subsitute. According to Rufus Sage (Reference), the flavor is superior to the flavor of any of the teas imported from China. Also known as New Jersey Tea. I have not been able to determine what the modern name for this plant is. Breads and Biscuits - research not completed. Include Biscochi. Beaver: Beaver tails could be as large as 12-15 inches long, 4 inches wide and 1/2 inch thick. Cut into strips and broiled, it was said to resemble “bacon”. (Bacon in those days must have been considerably different than what is available in modern grocery stores). Rufus Sage (Reference) reports that beaver tail is "highly esteemed by trappers, and assimilates a fish in taste..." If meat was in short supply, the entire carcass of the beaver is edible, and was also favored as a delicacy by the Indians”. Wislizenus writes in 1839, "Their meat is very palatable. The tails, which are fat all through, are especially regarded as delicacies." Most modern folk who have had the opportunity to try beaver tail have reported it to be inedible, consisting mostly of tough gristle and fat. These folks claim that eating beaver tail was merely an epicurean joke perpetrated by the mountain men. However references to eating beaver tail are far to widespread for it to have been a joke. (For more documentation on eating beaver tail) Beaver tail fat can be rendered to a light oil which can be used for lubricating the mechanism of flintlocks or traps. Spices: The Mountain Men ate most of their food without any seasoning at all. Spices, however, were shipped to rendezvous, and for at least limited times after rendezvous must have been available for seasoning foods. Spices known to have been packed to rendezvous included: sugar; salt; pepper and allspice. Salt for seasoning or for curing hides could also be obtained from salt springs and salt deposits found at some localities in the western mountains. Mountain Cider: was made from the digestive juices of buffalo, this drink was described by Kirk Townsend (Reference), a naturalist traveling with Nathaniel Wyeth’s supply train for the 1834 rendezvous. A Mountain Man “…with his knife opened the body so as to expose to view the great stomach, and still crawling and twisting entrails…we saw our hunter plunge his knife into the distended paunch, from which gushed green and gelatinous juices, and then insinuate his pan into the opening, and by depressing its edge, strain off the water which was mingled with its contents.” I'm not sure if this was a regular drink, or was part of a "special" demonstration for the tenderfoot naturalist. Bitters: A kind of beverage common among mountaineers. It is prepared by mixing one gill of buffalo-gall with one pint of water. One needs to develop a taste for Bitters, however the drink is described by Rufus Sage in Rocky Mountain Life as very beneficial: “it acts as a stimulant, restores an impaired appetite and invigorates the digestive powers, and can make sound an irritated and ulcerated stomach.” Sage also considers Bitters to be one of the most useful medicines in cases of dyspepsy. High Wine: This product was not really a wine, but was rather an intermediate product in the distillation of rum. The end product was approximately 75% alcohol. High wine was usually diluted 1:1 to 1:3 with water after it had been transported to it final destination. Fatal cases of alcohol poisoning from drinking uncut high wine were not uncommon. Firewater, Trade Whiskey. Alcohol was an important element in the fur trade from its origins in the earliest 1600’s through the end of the era in the 1840’s. During the rendezvous period (and earlier) all distilled liquors were colorless. Amber whiskeys and rums were not becoming available until much later. Rum and brandy and then later whiskey were used by the traders, whether they were French, English, American or Spanish. Large profits were assured through use of alcohol prior and during trading with the fur gathers, whether they were free trappers, company men or Indians. Indians were particularly susceptible to alcohol, because the Indians were culturally unprepared for alcohol and its affects. Unsuccessful efforts were made to deal with the problem, both by the Indians, and by edict and law decreed by the Colonial powers and later by the U.S. government. Alcohol was most abundant around forts and trading posts, and at rendezvous. Alcohol packed to rendezvous was extremely high proof. Once at rendezvous or trading post, the alcohol was generally diluted with water at a ratio of 1:2 or 1:4 or even more. This increased the volume of the product and profits. Rufus Sage in his book, Rocky Mountain Life. records that on one occasion an Indian woman drank a cup of alcohol which had not been diluted: the woman died of alcohol poisoning within a few hours. Typically voyageurs and engageés were allocated one gill of whiskey at the end of every days work. While on the hunt, alcohol was generally not available, although there often seemed to be some around for someone badly injured and requiring an anesthetic or for other medicinal purposes. Firewater: In order to test the potency of a liquor, a mountain man, or Indian would dash some of the liquid on the campfire. If the fire roared up, it was determined to be the good stuff, “fire water”. If the fire was doused, it was determined that the liquor had been diluted with too much creek water. This may be one of those mountain man myths. Taos Whiskey: A particularly potent whiskey derived from fermented wheat. It was originally produced by Simeon Turley and others in the Taos Valley in northern New Mexico. Taos Whiskey was popular throughout the southwest as far as it could be easily transported. The closest modern analog to Taos Whiskey would be one of the wheat vodkas. The use of the term Taos Lightning cannot be documented until the mid-1840’s. If the term had been in wide use in 1846-47, either George Frederick Ruxton, or Lewis Garrard would have recorded the term as they both passed through this area and both made exceptional efforts to record the speech of the mountain men.